Branson Regional Arts Council Board of Directors (left to right): Denise Jones (Chief Financial Officer), Rex Wood, Clint Cross, Ex Officio Bonnie Herrmann, Jim Barber (Executive Director), Lisa Murphy (President), Kim Hale (Vice President), Robert Cohn, Chris Benham, Hayden Head, and Darlene Graham (Secretary). The Branson Arts Council Board of Directors have implemented several big changes for the organization after Bonnie Herrmann, who successfully served as Executive Director for over 12 years, announced her retirement from the position. Ms. Herrmann will remain active as an advisor and valued member of the Board. 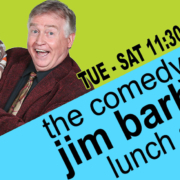 Long time Branson entertainer and marketing professional, Jim Barber, is excited to step into the role of Executive Director. 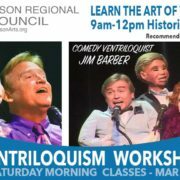 His extensive arts background in live entertainment, theatre, music, journalism, broadcasting, multimedia and tourism marketing position him as an ideal person to champion the development of arts in the Ozarks. Jim has already initiated a few changes that set the stage for new growth of the Arts Council, leading to enhanced artistic, cultural and educational opportunities for the citizens of our area. 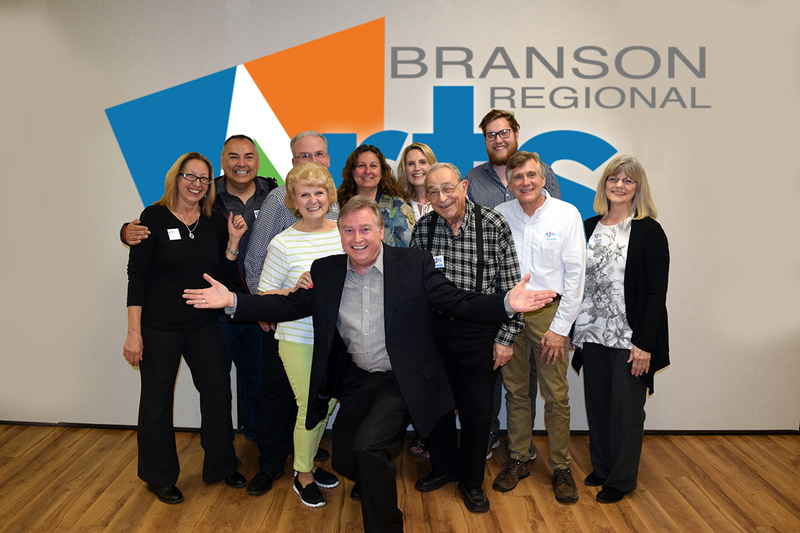 Moving forward, the name of the organization will be changed to ‘Branson Regional Arts Council’ to better describe the outreach of arts initiatives and programs in the neighboring communities, counties, and states that the organization has, and will continue to serve. A new, official logo has been designed, the website is undergoing a major upgrade, and the previous domain name BransonArtsCouncil.com has been simplified to BransonArts.org. Jim earned his BA Degree in Broadcasting and Theatre Arts from the University of Minnesota as well as an Associates Degree in Multimedia Development from the Art Institute of Philadelphia. In addition to his service on behalf of the Arts Council, Jim will continue as an independent marketing advisor for other area businesses, including Trophy Run Resort on Lake Taneycomo. 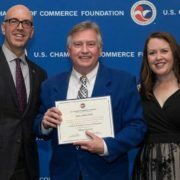 In January 2018, Jim will complete his fourth and final year to attain IOM accreditation from the US Chamber of Commerce’s Institute of Organizational Management. IOM is the premier nonprofit professional development program for association, chamber, and nonprofit professionals. This complements his board participation in many area organizations including the Branson Tri-Lakes Chamber of Commerce & CVB, Branson League of Theater Owners & Show Producers, Mountain Country Homes of Hope, Salvation Army of Branson, and Faith Community Health Clinic. 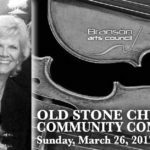 The Branson Regional Arts Council has been serving the Branson Tri-Lakes community since 1965 when it was known as the ‘Taney Arts Council’, founded by Jean Cantwell, who remains an active member today. The council evolved through the decades and was known for several years as the ‘City of Branson Arts Council’ with a board and administrator, but no general membership by the community. The organization received 501 C3 not-for-profit status with the State of Missouri on April 19, 1993, and has provided competent, creative arts leadership to our community ever since. The Branson Regional Arts Council Board of Directors include (left to right),Denise Jones (Chief Financial Officer), Rex Wood, Clint Cross, Ex Officio Bonnie Herrmann, Jim Barber (Executive Director), Lisa Murphy (President), Kim Hale (Vice President), Robert Cohn, Chris Benham, Hayden Head, and Darlene Graham (Secretary).